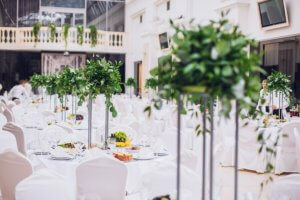 Are you planning on hosting a special event such as a baby shower, charity auction, Easter egg hunt or even a cocktail party? You should consider getting a one day (multi-day also available) special event insurance policy. Even if you don’t server alcohol at your party, by inviting guests and children onto your property you have liability that needs to be protected where your typical homeowners’ policy does not cover. A Special Event Insurance policy in Arizona can protect you with both General Liability as well as Liquor Liability insurance coverage. Furthermore, our special event insurance can include cancellation for inclement weather, coverage for rented venues and more. There are some risks that are uninsurable, so be sure to talk to an agent in our office about your event. Let Insurance Brokers of Arizona help insure your special event!